The tiny resort of Xlendi is dramatically sited at the mouth of a deep ravine, with steep cliffs tumbling down to the water on the bay’s northern arm. 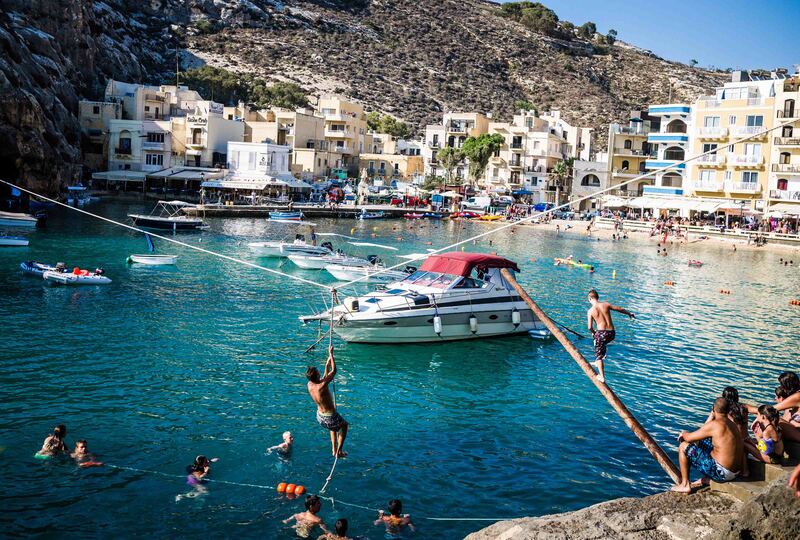 Xlendi started its life as a miniscule fishing community but the clear seas and the cliffs which guard the mouth of the bay made for the perfect resort when tourism started making headways in the sixties and seventies. Today the fishing community is restricted to a small corner of the waterfront, with a collection of colourful boats nestling in the shadows of a statue of St. Andrew – the fishermen’s patron saint. Notwithstanding some rampant development hugging the cliffs on one side of the inlet, Xlendi remains hugely popular with summer visitors. There is safe bathing in shallow water beneath the promenade, while the deeper, clear sea at the mouth of the bay offers better opportunities for more experienced swimmers, snorkelers and divers. 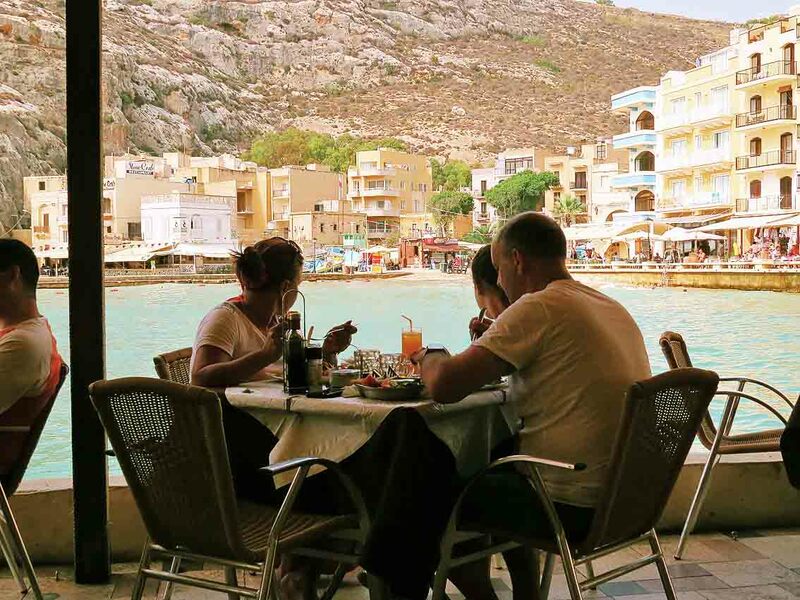 Xlendi’s small but lively promenade is busy at all times of the day, with a variety of cafes, restaurants and a handful of souvenir shops. Diving shops offer equipment and tuition. In the evenings the backdrop of cliffs makes for the perfect romantic dinner. Though seemingly bursting at the seams in summer, Xlendi remains a refreshingly quiet place even at the height of the season. 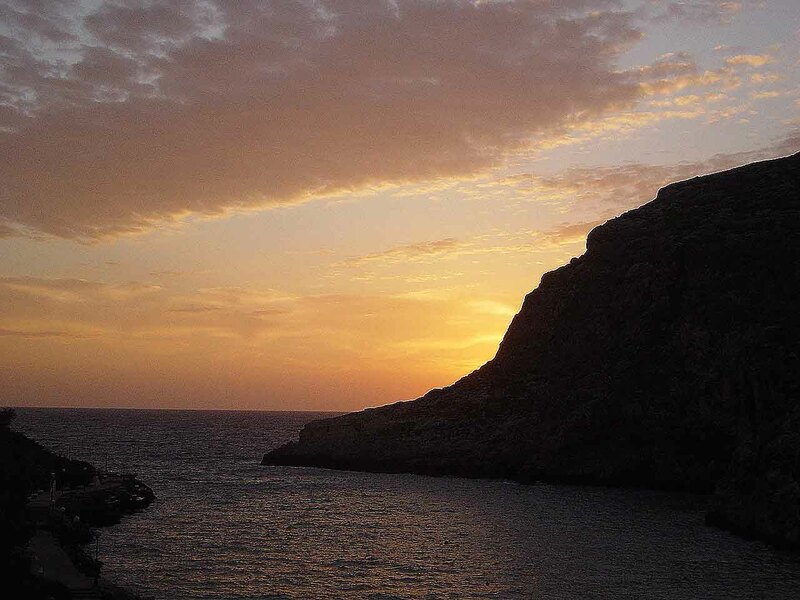 Gozo’s best clubbing venue is located a mere 500 meters away from the resort, conveniently near but far enough to preserve Xlendi’s precious peace. Historical artefacts are thin on the ground at Xlendi, but a watchtower dating from 1650 dutifully guards the bay. 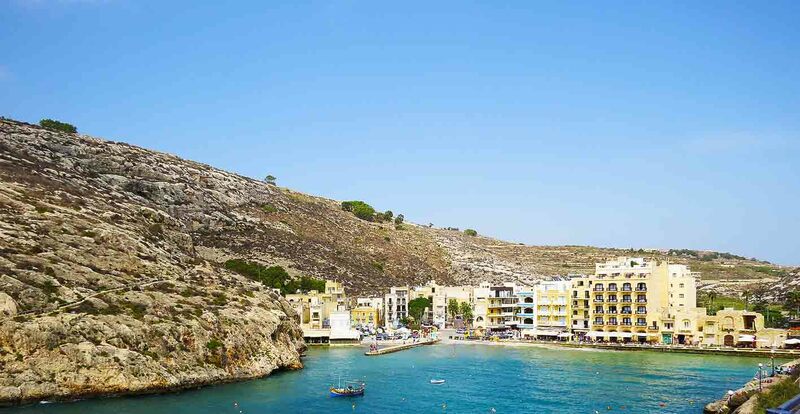 Away from the high season Xlendi makes for a perfect base for exploring this corner of Gozo. 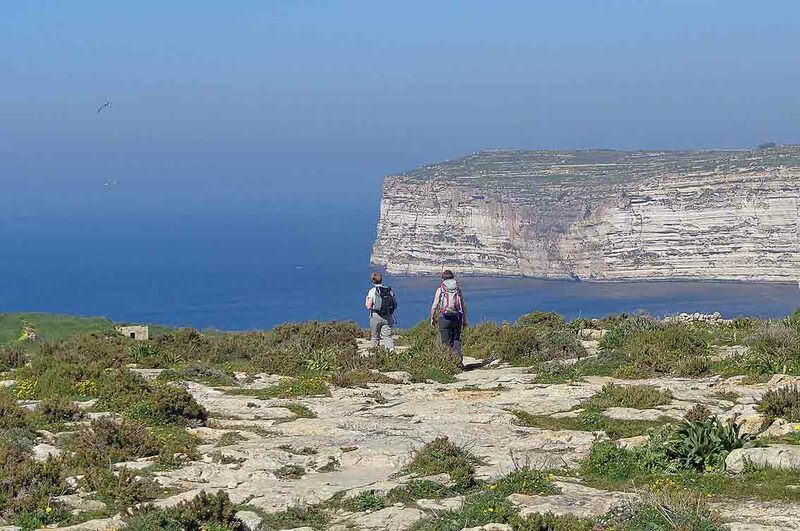 To the south there are good walking trails hugging the Sanap cliffs as far as Ta Seguna and Ta Cenc on the outskirts of Sannat with spectacular sea and country views. 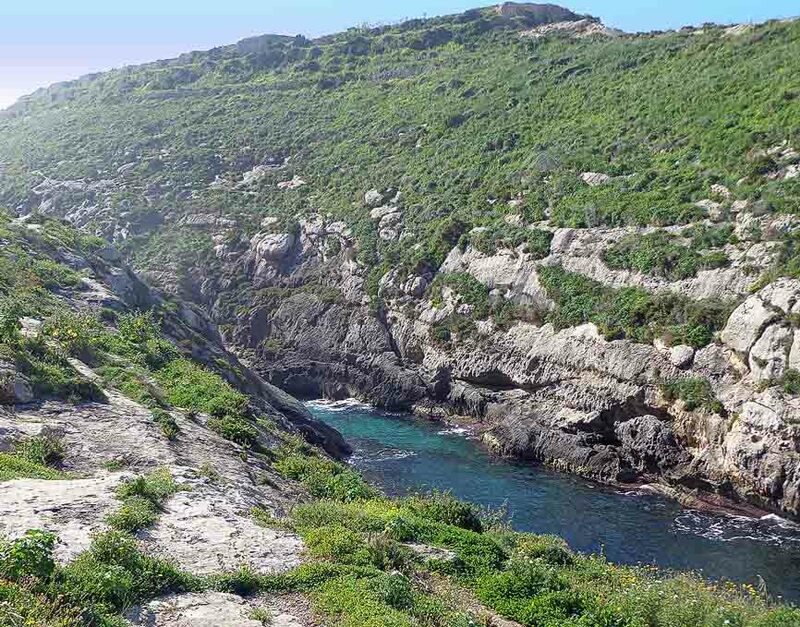 To the north of the bay there are challenging steep trails for the more adventurous rambler with good views of the resort and its surroundings unfolding with every step made. Although restaurants and other amenities are significantly wound down in the winter months, Xlendi retains enough for a more than comfortable stay even in winter, when it’s arguably a prettier and more laid back place. A regular and frequent bus service connects Xlendi with the villages of Munxar, Sannat and the island’s main town Victoria.